Do you think? Or are you a slave to habitual thought patterns instilled in you from your ego, your body, your upbringing, society? Are you willing to challenge and change your thinking? Do you want to be an original thinker? Be the creator of your own life experiences? Or are you content to follow the herd? I have always enjoyed challenging and testing my mind and feel a personal need to reach for greater awareness and understanding. Some would say I think too much. But I disagree and tend to think most people don’t engage their mind in original thought enough. 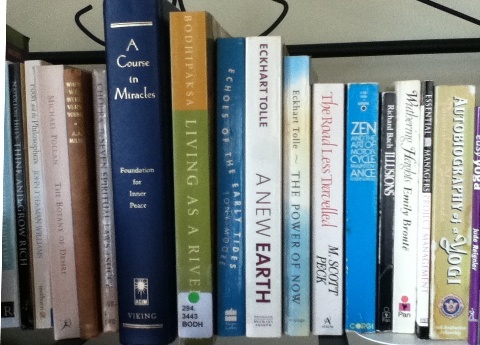 So here are some books that have been instrumental in raising my awareness from one level of thought to the next. They are in order of when I read them. This is an oldie but a goodie and a “Number 1 International Bestseller”. Dr. M Scott Peck practised as a clinical psychiatrist and offers anecdotes from his psychotherapy sessions with patients to explain his thoughts about the concept of “love” and then provides meaning that is not what many of us think of as “love”. When I read this book many years ago it certainly changed my thinking and gave me some new ideas to test. My old copy looks dated, and even some of the style, prose, and premises seem old fashioned now. It was an important work at the time but maybe many of us “got it” and have since evolved. The concept of “love” continues to be pedalled through popular media with the same old neurotic premises though, so maybe it’s time for a new version on this topic prepared for a new audience. As I have stated before this book rates as my Number 1 favourite of all time, and has never been knocked off that pedestal in the many years of reading since. I like its simplicity, the gentle tone, the story about pilots and flying, the spiritual lessons, and the overall message that life is far more complex, mysterious, and full of possibilities than we can ever imagine. The Master in the story teaches the student that all is not what it seems and that to see more you have to be able to see through the veil of existence. This requires a shift in thinking, perspective, and common notions of reality. The idea about manifesting things – physical things – into our life I find magical and compelling. The image of the blue feather became a lovely experiment in manifestation that remains with me to this day. And this no doubt led me to look closer at the book A Course In Miracles when it appeared one day. Pirsig seduces the reader into an apparently simple tale about a father and son who go on a motorcycle trip with some friends across parts of the United States of America. To pass the time the father, who is the narrator considers the deeper meaning of concepts such as “quality” using examples they see along the way such as the geysers at Yellowstone National Park. It forms an interesting gentle conversation that is soon disturbed by the returning fragments of memory of the narrator. Things are not what they seem at all. The narrator has a past that he is recalling bit by bit and this clouds the story with an unusual twist. He has had mental problems, a breakdown perhaps. He is drawn to discover his past with his son, reluctant now, in tow. And who is this Phaedrus character in this story? A second reading of this book was necessary for me because I became lost the first time. Once understood though I loved the depth of discussion and the analysis of concepts that were cleverly woven into a simple tale of a motorcycle trip. The descriptions of practical motorcycle maintenance and how the right attitude can improve the overall performance and experience of owning a motorcycle, was the defining message that can be applied to all of life’s tasks. The Celestine Prophecy: an Adventure is a simple tale of a quest to find some ancient manuscripts that contain the insights about human existence and how to steer humanity from its destructive path. It is a quaint and predictable story that has since been made into a movie. The companion book An Experiential Guide guides the reader towards finding the deeper meaning of our lives and to discover our main life purpose. Using the nine insights as a framework questions are posed that assist us in examining our own life story. We can then understand the key issues within the context of our own life. I like this tool for analysing and understanding why we behave and think the way we do. Our past, especially within the context of our upbringing and our families, has shaped us to be the person we have become. To really understand this in context helps to free us towards our own individual life experiences. It releases us from blaming our past and liberates us towards an original journey. Tony Moore wrote Cry of the Damaged Man after being involved in a near fatal car accident. Suddenly his work as an emergency room doctor ceased and he became the patient, like so many he had attended before. Echoes of the Early Tides continues his personal exploration of the healing process as a sequel to the former work. It is a compelling, beautiful and sometimes abstract description of how he steers his mind from being drawn towards a black abyss of no return. He wanders the beach and coast seeking solace and healing; his seaside analogies enrich the explanations with elegance and reality. He explores in depth “self-harm” and why some people seem powerlessly drawn to repeat behaviours they know will cause themselves and others further harm. I have read this book many times and my copy has yellow highlighter marking passages on nearly every page. If I had never read Illusions then I would never have lifted this book off the shelf at the new-age style shop that sold books, crystals, incense, etc. For me it was Illusions that planted the seed of a thought of the possibility of manifesting things in one’s life. So the idea of undertaking an actual course in miracles seemed a way forward if there was one. The copy I bought is a hefty hard back volume with light weight paper. It is divided into sections: I Text (669 pages); II Workbook for students (488 pages); III Manual for Teachers (69 pages). First published in 1975 it is now well known. Created originally by two doctors Helen Schucman and William Thetford, Professors of Medical Psychology at Columbia University’s College of Physicians in New York City, it was a response to “angry and aggressive feelings” associated with their field of work and a desire to find a “better way”. I have not read the whole book. It is hard going. The 365 daily lessons for students are mind-changing and I have only ever made it to about Lesson 7 before I start to wonder if these exercises could really cause one to release ones grip on reality entirely. It certainly makes you think because it unhitches all habitual thought processes. The text is biblical in style and although the authors were “anything but spiritual” the presence of God is there in every passage. Maybe one day I will read the book through. In recent years Eckhart Tolle has emerged as a leading voice in the quest for spiritual development and connection. His book The Power of Now is an exceptional exercise in urging us all to just live in the now. One paragraph in this book had that effect on my mind where it immediately raised my comprehension to a totally new level. At the time I clearly remember the “Ah-Ha!” moment as this new understanding became clear. Now, I can’t remember what that was, or where in the book it is. And I didn’t mark any passages with yellow highlighter or pen. I would need to re-read the entire book to find it again. I will. But sorry, for the timing of this blog post you will need to read it to find your own “Ah-Ha!” moment. Eckhart Tolle followed The Power of Now with a more urgent plea for us all to evolve spiritually for the sake of the future of humanity. He delves deeply into the ruling power of the ego and shows us how to break free from this tyranny. He proffers that a purposeful shift in the way we think is not only self empowering but a necessity for the continued existence of our species. Like many people who choose the Buddhist path Bodipaksa changed his name. He was born Graeme Stephen in Scotland and runs an online meditation centre Wildmind. Not that any of this has any bearing on his book that explores the overlap of science and spirituality. I was introduced to this book at the meditation centre I attend. Anyone who has tried meditation knows the value and power of ceasing all thoughts and stilling the mind. So perhaps this book should be mentioned under “unthink” instead of “think”. I choose to list it under “think” because Bodipaksa challenges us to examine our habitual thought patterns and change them. The overriding metaphor in this book is to consider your existence as if you are an eddy in a river. If you look at an eddy it appears to be an actual physical form, and yet we know that it consists only of the river flowing through, responding to the formation of the river bank and bed. The eddy changes in every instance. It may be transformed completely over time depending on the river flow, water levels, formation changes along the bank and river bed, but essentially the eddy is the river flowing through a point. Just as our bodies/minds/selves are manifestations of Life flowing through the physical world. Of course Bodspaksa explains this far better than I. He invites us to try the Six Elements Practice which is a meditation that assists our thoughts towards a feeling of being alive as part of the river of existence. Get reading about thinking now! What are the methods to constructive thinking? How can I change my thinking? What keys or switches will assist my mind in this process? Afterward: How could I leave out The Power of Positive Thinking by Norman Vincent Peale? This was the first book of this type I ever read. My father suggested it to me when I was a teenager. It is a classic and still relevant today. 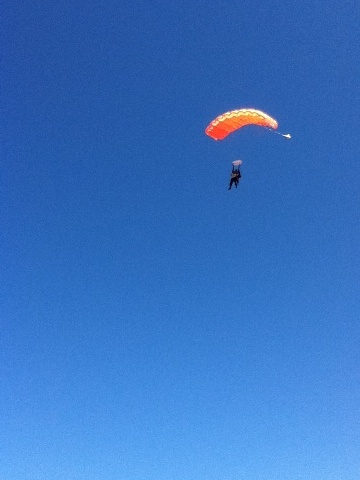 It looked to me like he was plummeting to earth before the orange chute opened, but he said he was flying. My partner/husband/friend/companion/accomplice could not stop smiling as he told me about his skydive. He has also recently managed to stand up on a surf board. His “bucketlist” is getting shorter. Another thing ticked off his list was to build a new house. Visit Paris –yes. Climb Uluru – yes. Visit Machu Pichu – not yet. Visit Paris again – not yet! I don’t like the notion of the “bucket list” and prefer to think of my life as a colourful palette. Each day we create what we will. Sometimes it can be a muddy mess while at other times it is so beautiful beyond all expectation. I have felt like I was falling – my life changes so total I have struggled to find my feet. This morning I realised I am flying not falling. The typical morning-mind complaints rattled around in my brain, whinging about the injustice of having to get up early to drive to the rural airport; when a scene so unique and beautiful stopped me and made me realise how lucky I was to be out of bed early after all. I was driving through patches of fog as morning light illuminated the countryside in soft pastel stripes of pink, blue and grey. The pastures lit up in vivid green and the white wind turbines turned their man-made symmetry in slow motion above the fog. It was a jewel of a day, so lovely and precious that I felt lucky and privileged and snapped out of my morning fug. Indeed I was lucky to be alive. I thought about stopping and taking a photo but I knew this could not be captured within the confines of a small digital image. And that got me thinking about how my life has changed in so many ways. I recall wanting change and now every day is different and new. I had lifted myself out of the stagnant predictable sameness that it was, into a fresh, vibrant, challenging, rewarding and creative experience. We (my husband and I) pushed the boundaries and expanded our life experience to be fuller and richer. Last night I was in a small country town hall at a public meeting listening to locals talk about their town. Today (in an unrelated matter) I enjoyed fine dining in The Melbourne Room of the Melbourne Town Hall then just three hours later I am in the plane banking over Discovery Bay looking down on an emu racing back into the pine forest. Maybe the meditation is having an effect, allowing me to be quick to appreciate life more often. The power of mindfulness. We are Fifty and Flying not Falling. Feel I have escaped the “ratrace”. Realise I am not a “country person”. Have not seen evidence of the fabled “country charm”. Am amazed at the lack of world view by many country-folk. Feel a sense of impending doom. Have seen/experienced the effects of the population/cultural explosion/collision in Melbourne and want to warn the locals of the approaching tsunami. Feel like a foreigner in my own country. Have read the local history of Portland and realise how this has shaped the culture of the town. Love the look of the old buildings especially those made of stone. Always feel sad at the sight of another dead koala on the road and wish I could protect them. Love the local bird life. Still want to live in France (not sure why) but realise the culture/population problem is far worse there. Am looking forward to settling into our new house. Feel proud of what we have achieved with our building project. Miss friends, workmates and lifestyle on the Mornington Peninsula. Portland is a “blokes” paradise. Love the regular trips to Melbourne on a small (20-seater) plane. Appreciate Melbourne more as a visitor. Miss regular and varied choices of movies to see at the cinema. Have not established a regular exercise routine yet. Feeling healthier as a probationary vegan. Enjoy listening to audio books in my car as I travel the country highways. Love the weather – the wind, the cold, the rain. Sunny days are gifts. Love living beside the wild open sea. Enjoy the variety and challenges of my job. Have made some new friends. Grateful to have a constant companion/friend/husband to share this with. The first week of my new life was busy, full, and different. I travelled every day between the place I am living temporarily and the town where I am working. It is a seaside rural community with lots of space to think. I like that. It is a landscape that stretches out to the horizon. There is a lot of sky and fields of farmland. The smell of cut grass dominates as the farmers clear their fields and make hay bales for stock feed in readiness for the dry summer ahead. This week I saw a koala walking along the side of a busy road in the middle of a large town. I worried it would be hit by a car. Eventually it scampered to the grass of the foreshore near the sea but there were no trees for it to find refuge in. Surely dogs must be a problem for koalas, if not the traffic. I saw whales just off the headland slapping the water with their grey and white fins. I walked to the red and white lighthouse and sat and watched some yachts sail by. The weather has been perfect since my arrival and contrary to my perception of the weather in this part of the world. Every day I drive past the wind turbines that dot this windy coastline. They were still for most of the week. I have met lots of people for the first time and I find the country attitude refreshing and I will need to relax my city-dwellers angst to adjust. I didn’t realise the extent to which I actually had been urbanised after all. I went along to a community art auction that was raising funds for the local hospital. It was held at the primary school but was in fact a formal event where everyone dressed up in suits, bow ties, and frocks. The guest speaker was the events coordinator from Federation Square in Melbourne. The theme for the art was “tea pots” and anyone could enter. A decorated tea pot along with a painting were entered and then auctioned. It was an inclusive and encouraging creative endeavour where entrants did not seem shy about their amateur creations. Some were poor while others surprisingly good – surprising for the amateur artist. Of course some practiced artists included work and these were fetching prices at this auction of $1000. One ceramic teapot in particular reached this amount, but the artist was an established ceramic artist from South Australia. I actually bought two paintings by default really as the final bidder in the silent auction items. While living temporarily in accommodation with family I feel unsettled for being “homeless” and away from loved ones. One can’t really do the things at home that is routine and taken for granted. So making cups of tea is the thing to do. It is something. But I don’t need that much tea in my system. Today between cups of tea I helped in my sister’s garden, went for a swim at the beach, made a curry for dinner, listened to the birds as I rocked in the hammock under the pine trees. Meanwhile my husband, still back in our old life for the time being, told me by telephone that he went fishing and caught three large snapper. I celebrated a major milestone birthday recently with an escape to the wilderness, thinking I would avoid attention and commune with nature in its purity. This was fine and I spent the momentous occasion trekking through 30 centimetre deep snow around beautiful Dove Lake at Cradle Mountain in Tasmania. This area is actually listed as a world heritage place. Since then I have been prodded and probed, scanned and screened to finally get a clean bill of health. I have new spectacles; have had a massage and facial, haircut and general tidy-up. I have a new job; have planned a new house for a new block of land in a new location. I have a new job and start work next week. I have sorted and packed up my house, thrown out the old stuff, and I leave my old life behind this weekend and start the next chapter of my life afresh. I have finally adjusted to being an “empty-nester” and proud that my three adult children are happy, independent, and confident living their own wonderful lives. Fortunately for me, the only thing I haven’t changed is my husband! And my family of course. Fully realising that you take your Self with you wherever you go, I have worked on my psyche long and hard over the years and I am confident and happy with my place in the world and this life. But I try never to be ungrateful, complacent, nor take things for granted. Life continues to unfold in its mystery. To my great delight I am still going to be working in libraries so this is not new, but the branches and people I meet will be. 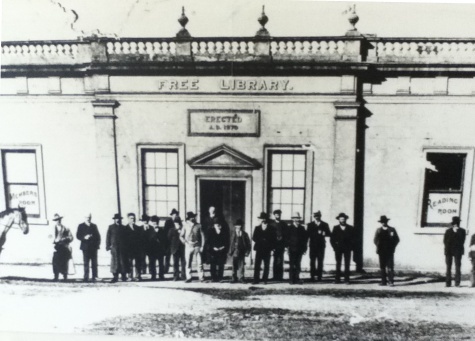 It is such a privilege to work in libraries. I will endeavour to keep up this blog and my two other blogs: French Accent and Port Fairy House as I make the transition into this new landscape. Goodbye beautiful Mornington Peninsula. Be willing. You might think you are willing. You might say you are willing. But do you feel willing? Really feel willing to make the changes necessary? Be persistent. You may experience setbacks in your attempts to change your life, but you will need to persist with your attempts and not let rejection, disapproval of others, or failure to stop you. You need to keep trying time and time again. Know yourself. Is this the change that is right for you, or is it something you are chasing because it is seen as something desirable by others? Know yourself well enough to know that this is truly right for you. Realise reality. Know what the reality of this life change will bring. Visualise this new life. The reality of what you desire may not live up to the imagined life at all. Think it through carefully. Make sacrifices. Know that you will be sacrificing some things with this change. Life will not be what it was. Some things will leave your life forever. You have choice. Know that you are free to choose the life you want, but so are others and they may not make the life choices that are compatible with yours. You can only change your own life. Be brave. It is scary. Once the changes are set in motion you may get nervous and you will need to have courage to keep going. It is too easy to give up and return to old habits and to what is known and comfortable. Don’t mistake this discomfort with unwillingness. You will always have you. You will take your Self with you. Remember that. You can’t escape yourself. But a new environment amongst a different group of people may affect your behaviour; hopefully for the better. Uproot. Leaving your old life will feel like uprooting and it is. All that is known to you will be left behind. Life will never look the same. Once you are on the road to your new life, the whole view of the world will change for you. It is as if the dust has been shaken off everything you see around you and you see the world with fresh eyes; like the eyes of a child; like this old familiar life and scenery is something new. You will know it when it happens. You will know it when you have crossed the threshold into your new life. You will feel it deep within and you will know that there is no way back, even if you wanted to go back. You can’t. It is in the past. It was your former life. You have grown beyond that former life.